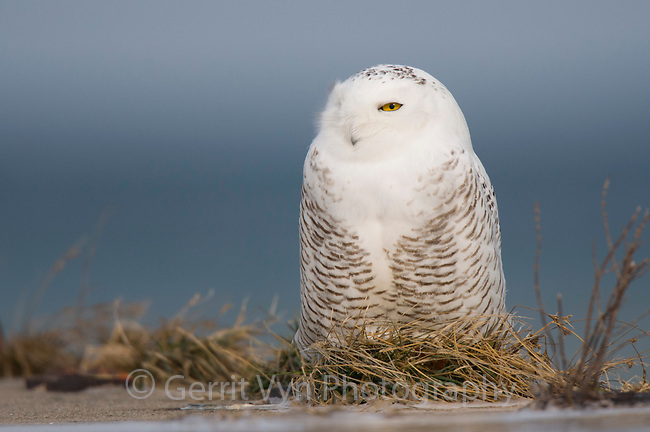 Presumed immature male Snowy Owl (Bubo scandiacus) resting on a pier along the Lake Ontario Shoreline. Cayuga County, New York. December.